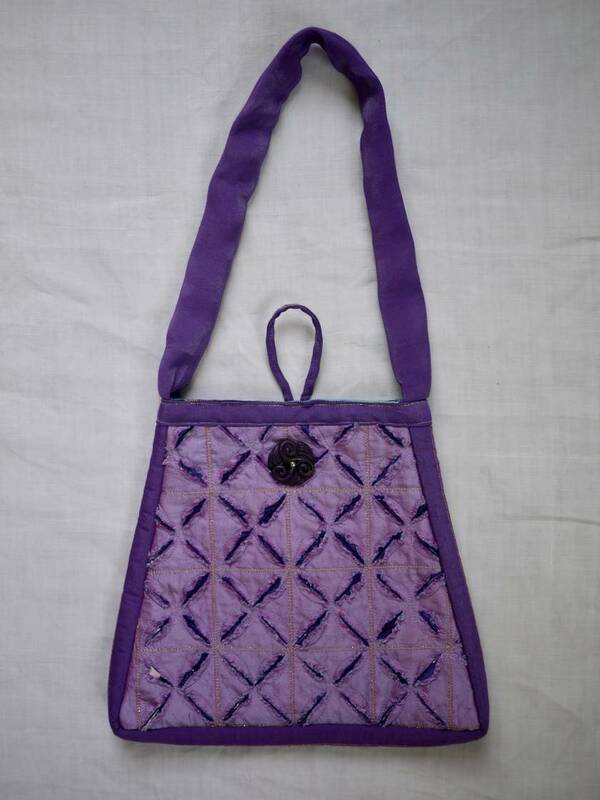 This beautiful silk bag is visually stunning and is a one off design. Layers of fabrics have been sewn together and then cut back to reveal the fabrics underneath. The bag is fully lined and closes with a hand made polymer clay button also made by veronicaa. A single gold bead on the button blends with the gold top stitching on the bag. The back is unembellished apart from gold stitching. 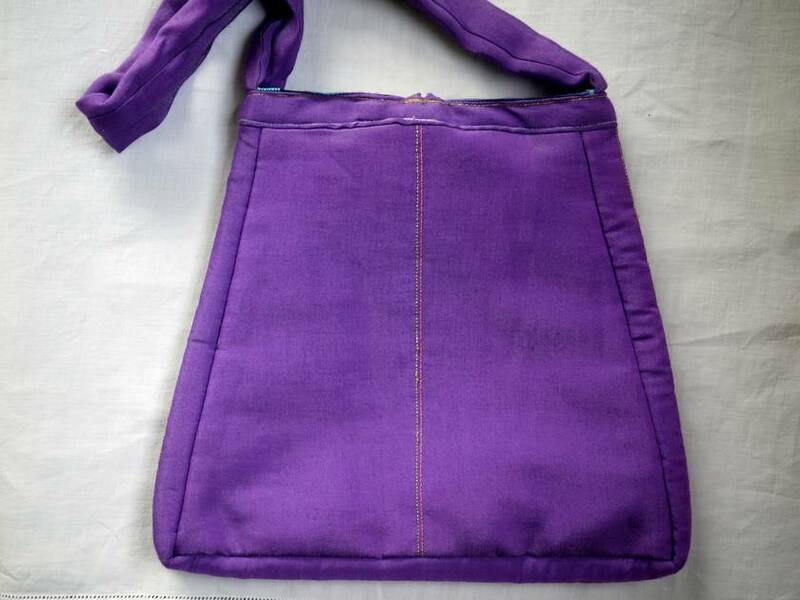 Strap is 50cm x 3cm. Fabric is silk with a 100% cotton lining.